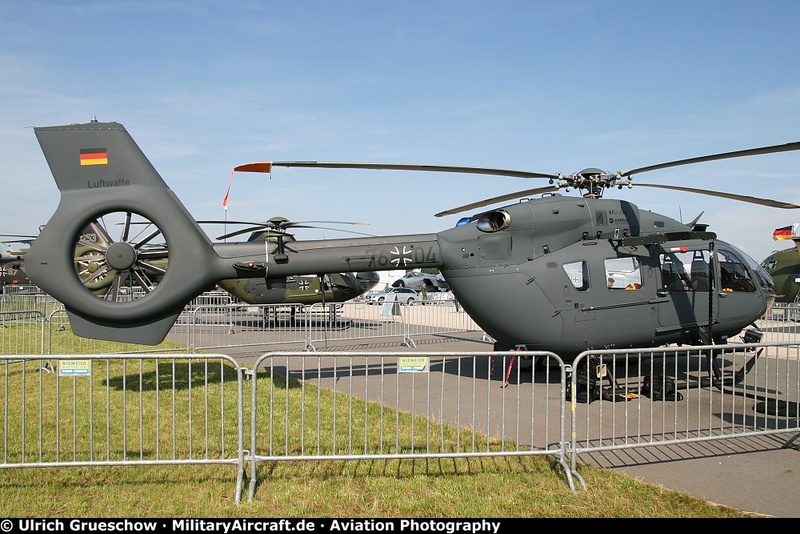 The Eurocopter Group was renamed Airbus Helicopters on 2 January 2014. 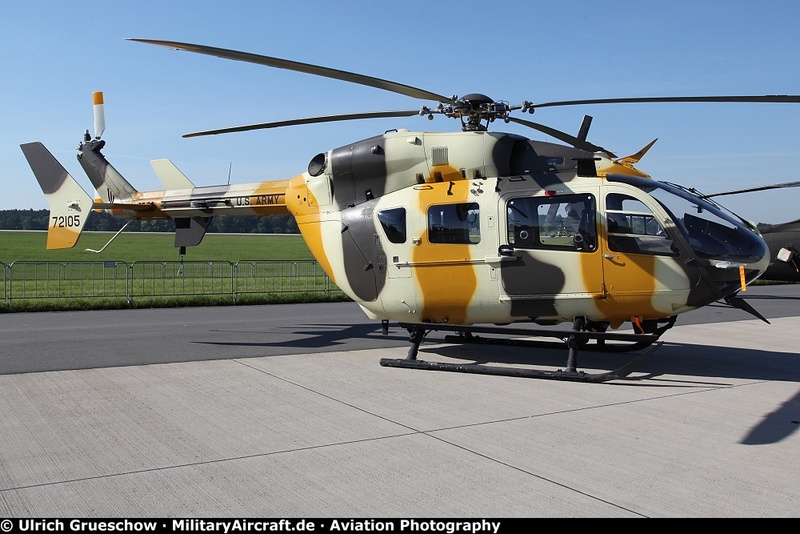 As effective of 1 January 2016 the trade names of the helicopters were changed. 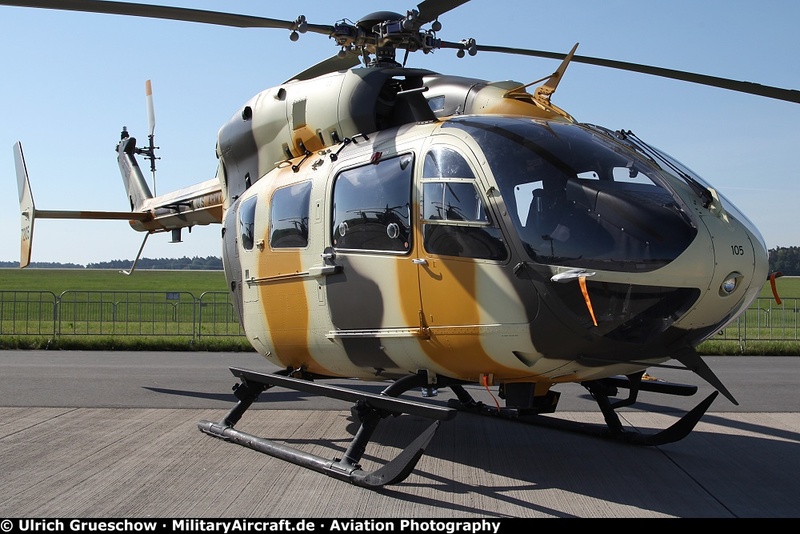 H145M is the new designation for the military version of the Eurocopter EC-645T2, while H145 is new designation of the Eurocopter EC145 T2. 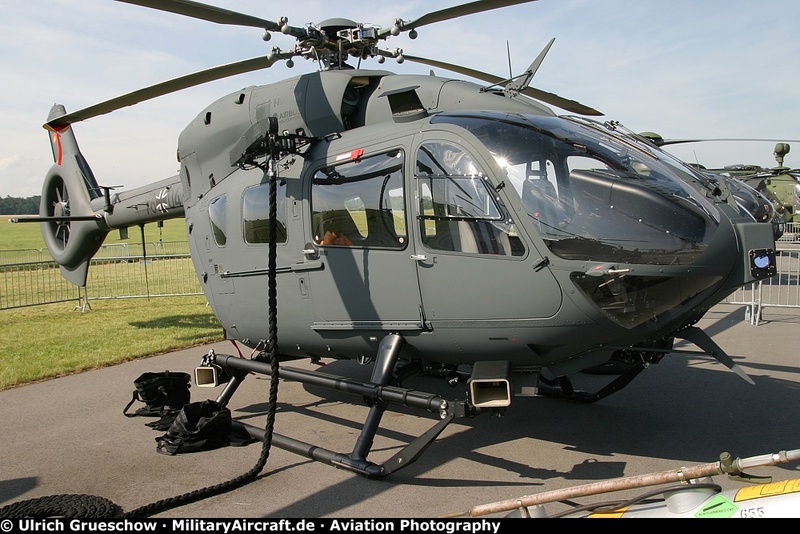 The UH-72 Lakota is a light utility helicopter specifically designed to meet the requirements of the United States Army. This twin-engine helicopter with a single, four-bladed main rotor is the US military version of the Eurocopter EC-145. 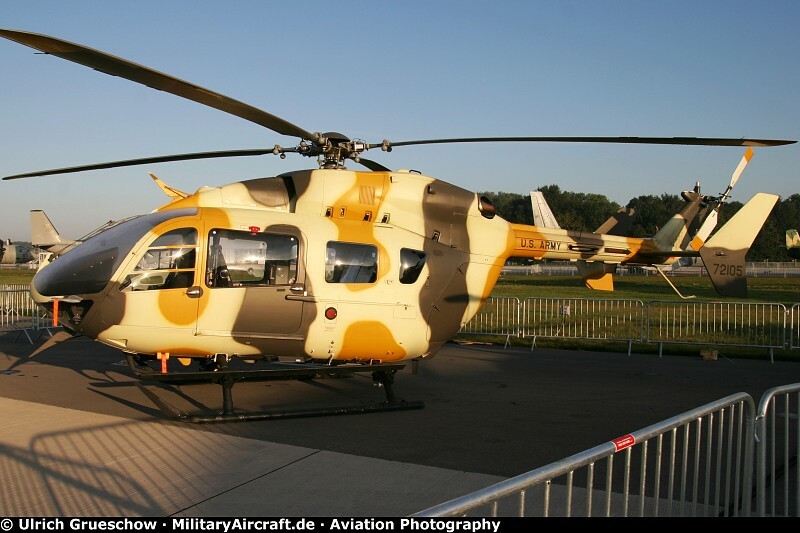 The UH-72 Lakota is manufactured by Airbus Helicopters. 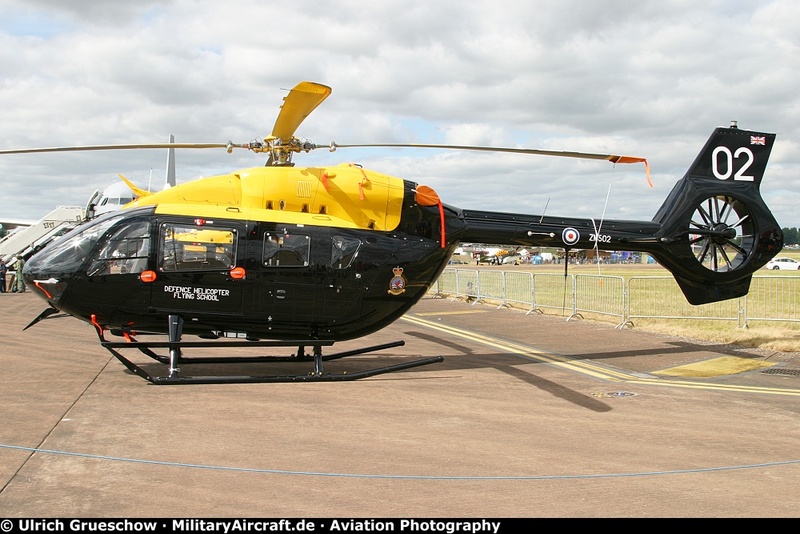 This H145 Jupiter helicopter is one of the new aircraft in the fleet of the UK Military Flying Training System (UKMFTS). H-145M LUH SOF helicopter during their missions.